Spring Sale June 17 & 18, 2016! 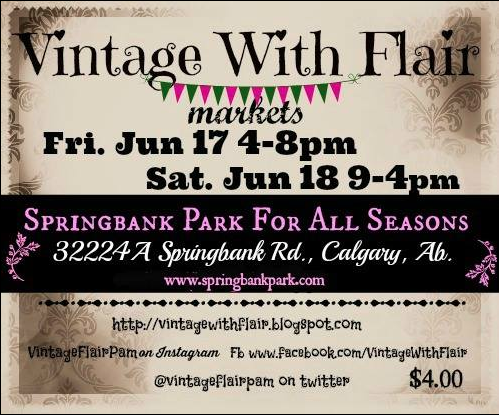 I am SO excited to invite you to Vintage with Flair’s Spring Sale in which Honey B’s at Home will have a large booth exhibiting some fantastic finds, antiques, painted pieces and pretty stuff!! It’s been awhile since I participated in a market so I’m particularly eager to get back into my creative space! There will be many more talents and beautiful spaces to see, so mark your calendar and come on down for a fun and exciting weekend with us! Click Here to link to Vintage With Flair’s Facebook for more information and to enter to win two $100 Vintage with Flair’s Bucks to spend at the event!